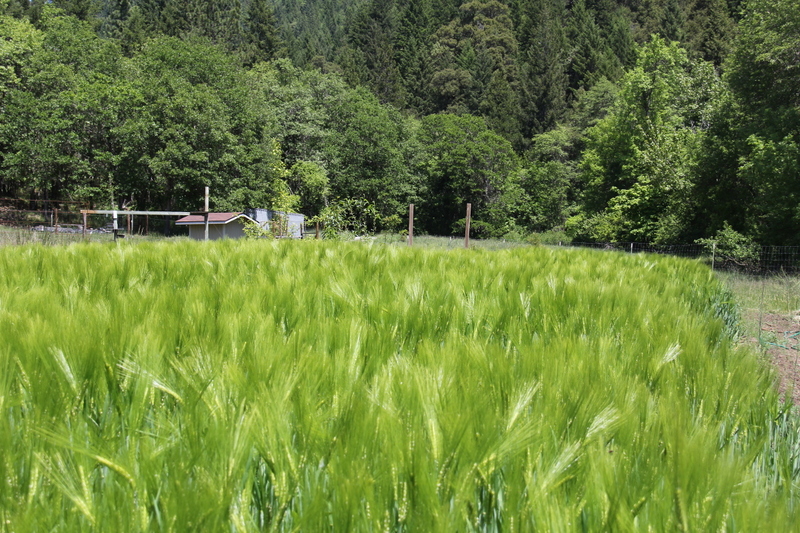 Thanks to this blog I’ve talked to a lot of people who malt their own barley. If you check out the comment sections on these blog posts you’ll find a ton of shared information on malting from other home maltsters. So I thought I’d add a new section featuring people who grow and/or malt their own barley. This is something I should have started long ago, so if you don’t want to start your own blog (which you really should) send me your pics and I’ll add them here. I’ve recently had the pleasure of meeting two home maltsters from opposite sides of the planet John from Oregon and Dimitris from Greece. 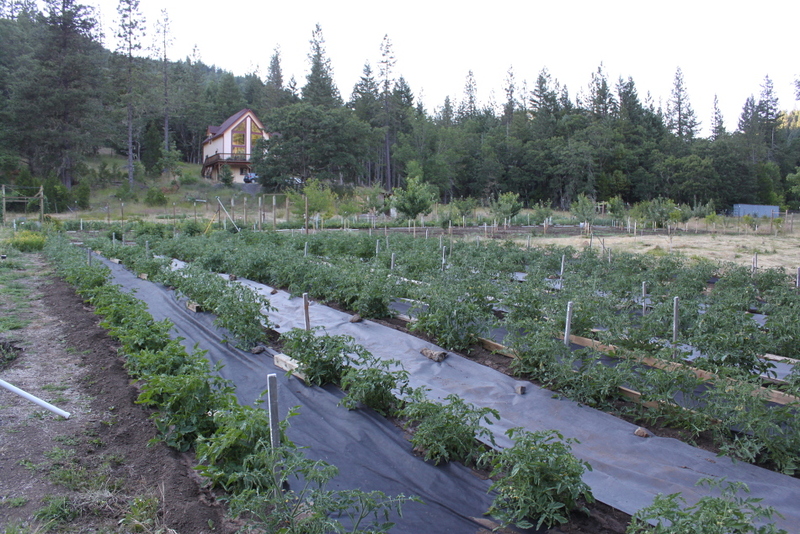 John has a beautiful piece of land in the Siskiyou Mts. in Oregon and I’m totally envious of his garden. 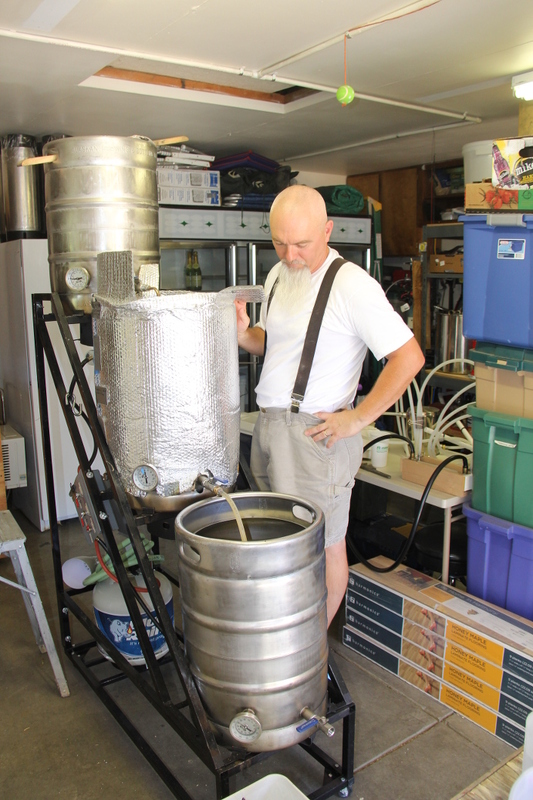 He grows and makes 100 gallons of beer every year which he shares with his rather large extended family. “I am 69 years old and retired. Gardening is my hobby. 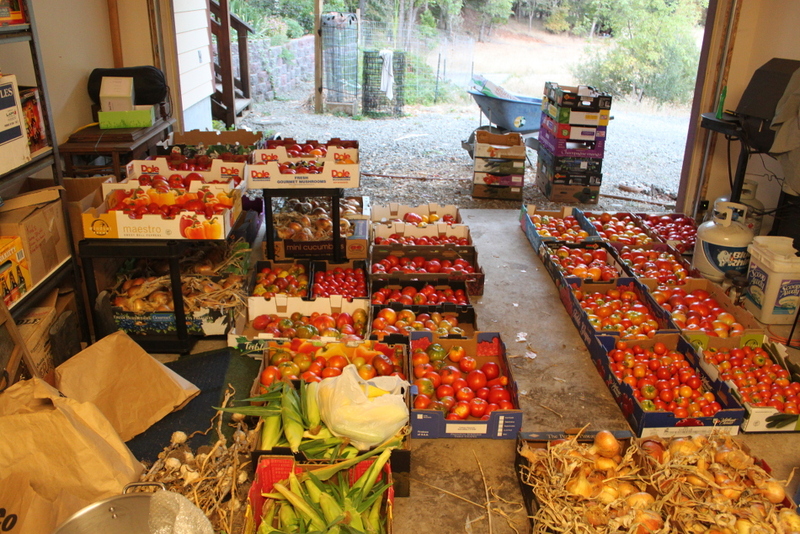 My family [I have over 100 nephews and nieces on my side alone] … my family visits me in the summer to carry home produce. 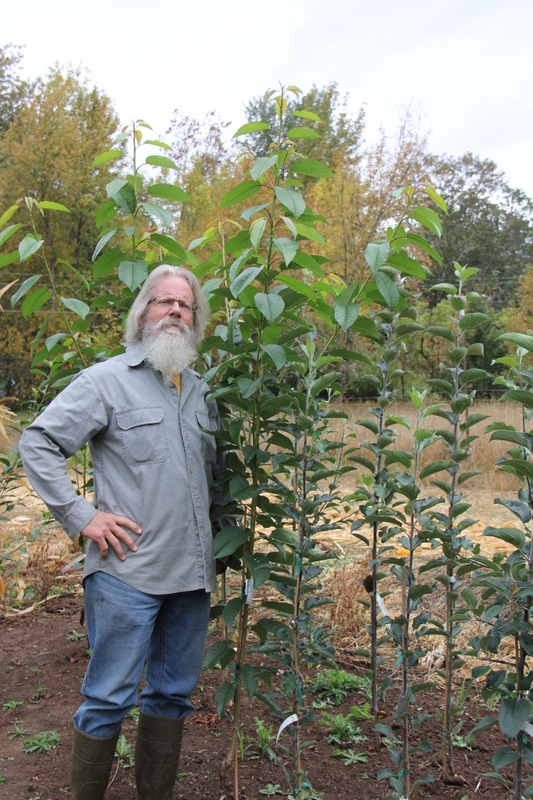 I also graft or bud fruit trees for fun. 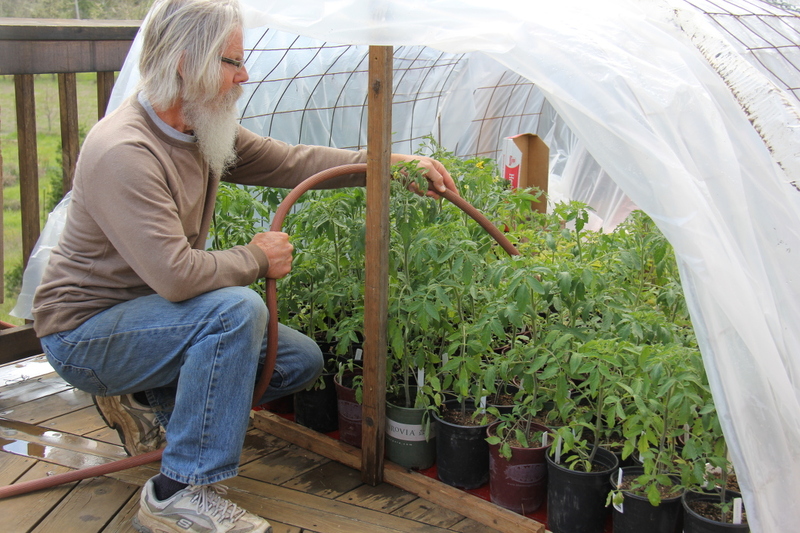 I got my MS in horticulture long ago and have worked in agriculture the whole time until I retired in 2004. 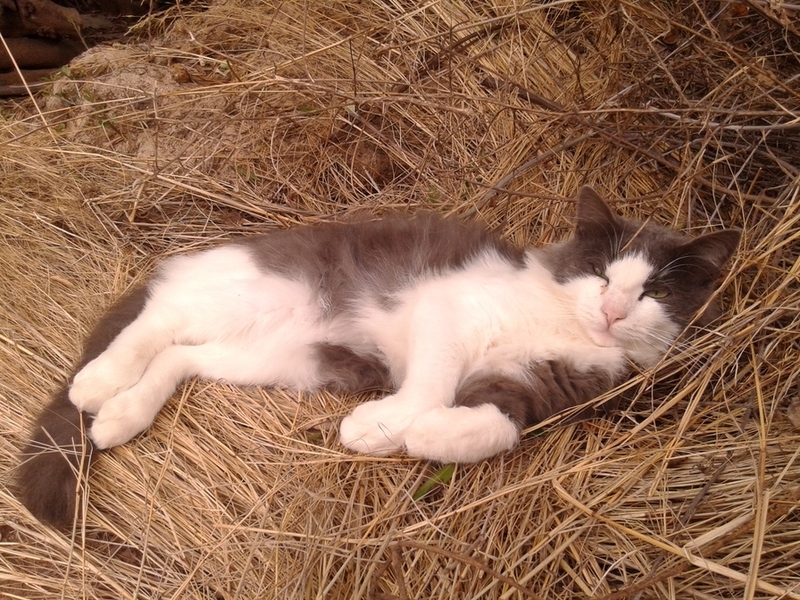 When fall arrives I begin malting my spring and winter barley. This takes about two months because with limited facilities only about 6 lbs are done daily. None-the-less it gets done. I’ll tell you that I’ve a long way to go before I perfect this malting business. My family up in Washington are big in hops. I really don’t need to grow my own because they are willing and do supply me with hops … a lot of hops [Yakima Chief Hops]. I use them for trade. I use their hops such as Simcoe and Mosaic because they are proprietary. Otherwise I grow my own. Produce I’m giving away to family. 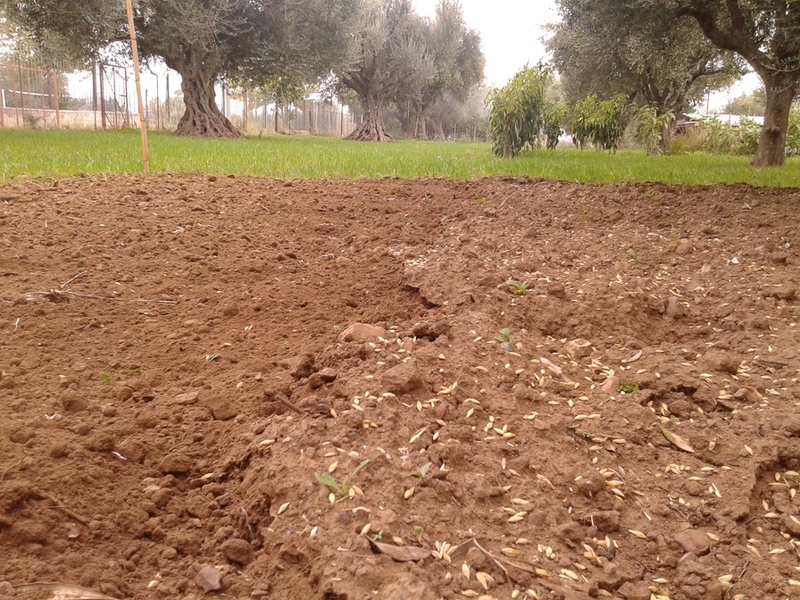 Dimitris who lives in Greece has just planted some barley on part of his families olive grove. These olive trees are about a hundred years old. He also has this awesome indirectly heated wood oven to play with for kilning. 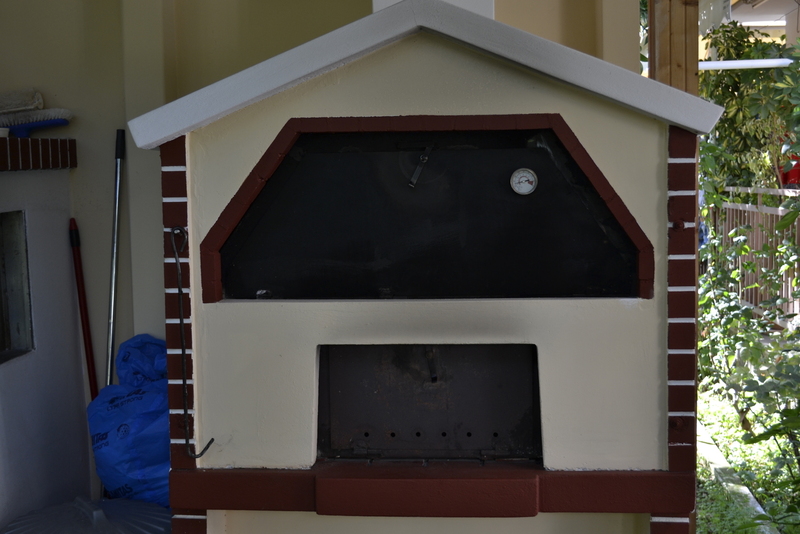 Dimitris is planning on utilizing an arduino micro controller to control the air flow in his kiln based on the humidity inside. How cool is that. Looking forward to seeing his updates. “This is part of my field, that my father owns. 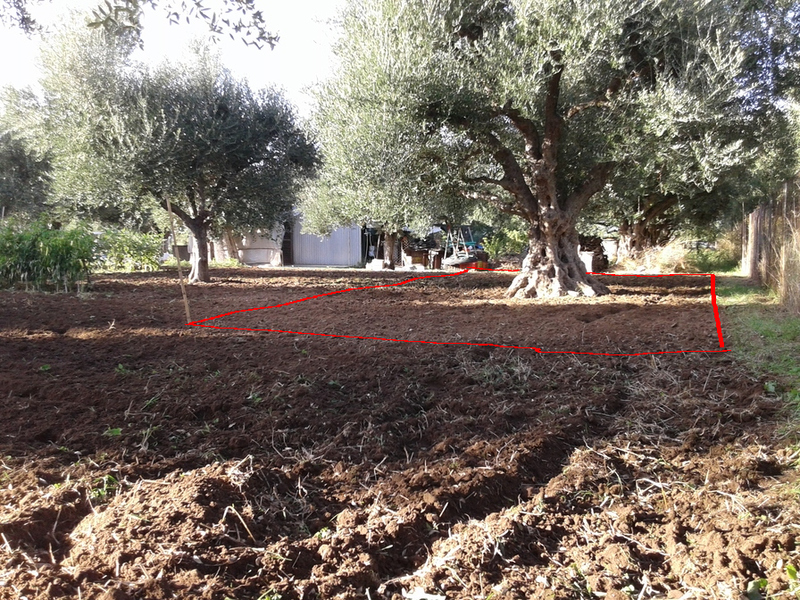 In total it is 1 acre (1000m2) and has around 40 olive trees. Also we have about 20 chickens that lay eggs, which we sell. 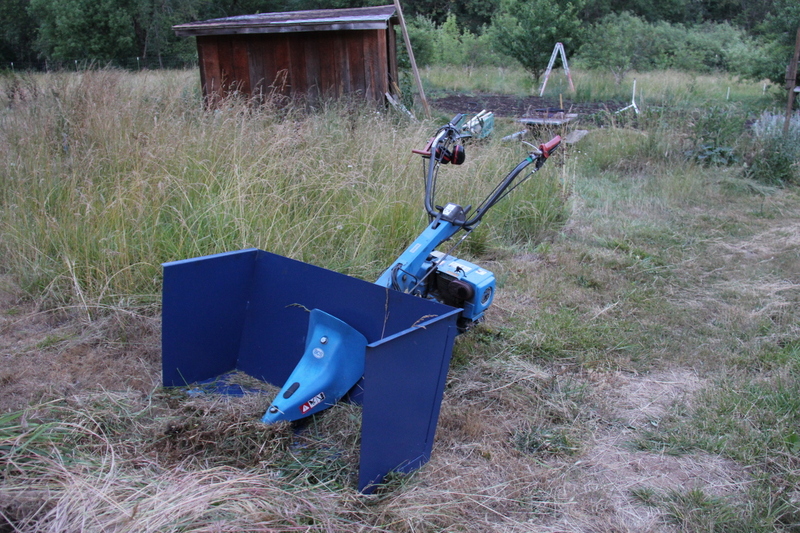 Every year, around October, i plow a part of it, about 0.25 acre, in order to seed oats for chicken feed. We don’t let them grow and produce grains, but we let the chickens eat the oat plants while it is green. Then we keep them from entering the area in order to let the plants grow again etc. “So my plan is to keep the door open, and make a new door, from wood and insulation that will fit snug at the opening. The new door will have two pipes (2-3 inch diameter), one on top and one on the bottom. Each of the pipes will have either a small fan inside, or some flaps that shut off the openings. For the barley, i’ll create a wooden crate with a perforated bottom made out of mesh and fabric. On the top there will be a lid, with a fan. It will go inside, the fan will be constantly running making air flow recirculate from the bottom of the barley towards the top. When the humidity rises, arduino will open the pipe fans/or flaps, so that drier air will enter the oven and humid air will exit. That way i think i will have a very good control as far as drying is concerned. And of course i can raise the temperature up to higher values for making special malt. Perhaps, i could replace wooden fire with a gas burner that could fit inside the fire chamber, for better temperature control, although it would cost more. Thanks for the photos guys!